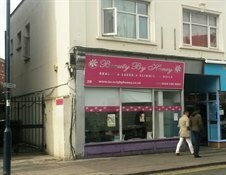 Cattaneo Commercial have completed the successful letting of 2B St James Road, a ground floor lock up shop a short walk from the Market Place in Kingston town centre. There is currently a strong demand from occupiers for similar properties, so if you have a property you are thinking of marketing we would be pleased to speak to you. Please contact Adam Soliman or David Keates on 020 8546 2166.